4 ingredients, 2 textures and nothing but pure joy. An accurate description of one of the dishes at Kjolle. I have always said that it takes an amazing chef to cook with few ingredients and with Kjolle Pia Leon is doing just that. I always find it exiting to see how chefs can distance their new restaurants from where they use to work, especially when they have worked in the same restaurant for a long period of time. I usually compare it to teenagers who need to develop their own identity and assert their independence but as they grow up the influence of the parents are usually apparent but still people with own identities. For Pia Leon I can only image how this transition must be having worked at Central for the past 10 years and even more the case being married to Virgilio who defines the identity of Central. Going to Kjolle it therefore came with certain expectations: would it be an a la carte version of Central, would it be casual or fine dining, how would the quality compare to Central and how will Pia hold up in the spotlight by her self. Walking into the large dining room with more than a few meters to the ceiling I could not help to be impressed. 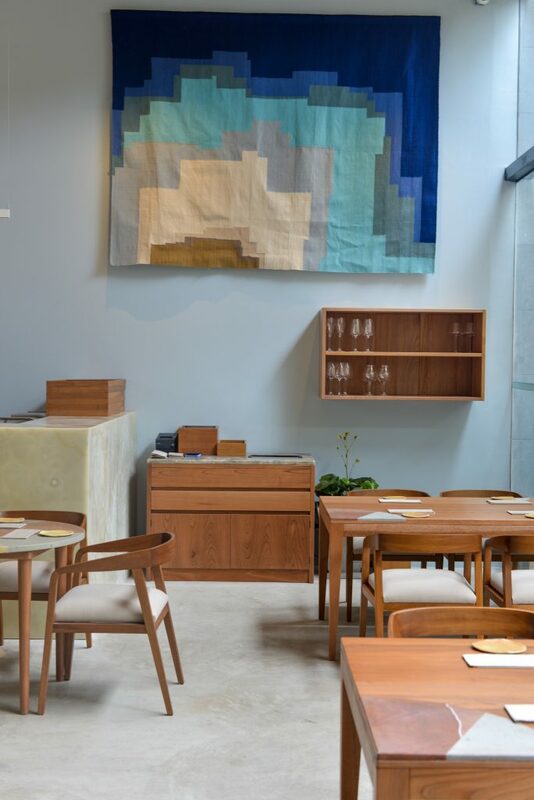 The open kitchen is filled with the most beautiful marble, authentic Peruvian knit work on the walls, which are of course painted in a beautiful Turkish color. Everything feels warm and luxurious. For the food you have two options, about 15 different a la carte dishes or the 8 course-tasting menu. Like always I went for the tasting menu. Right off the bat Pia impressed with the first dish of a frozen ceviche with a bit of Amazonian cacao. When frozen ceviche is done well it is amazing and it was here. For me the highlight of the meal was the simplest dish. Fresh scallops with frozen pagay and a silky smooth cold juice of lime and ginger. The sweet frozen pagay was just a great match for the delicate scallops. A dish that was both technical, simple and delicious. A signature dish in the making. Tart with various types of tubers was next in line. Served with a bit of goat cheese. I liked the combination between the tubers where some had been pickled and were acidic and others sweet or grilled ever so slightly for a hint of smoke. For one of my Peruvian friends the dish brought him right back to his grandmother’s kitchen, which to me is the ultimate compliment. Tartar is not a dish that I have had that many places in Latin America before if any place. 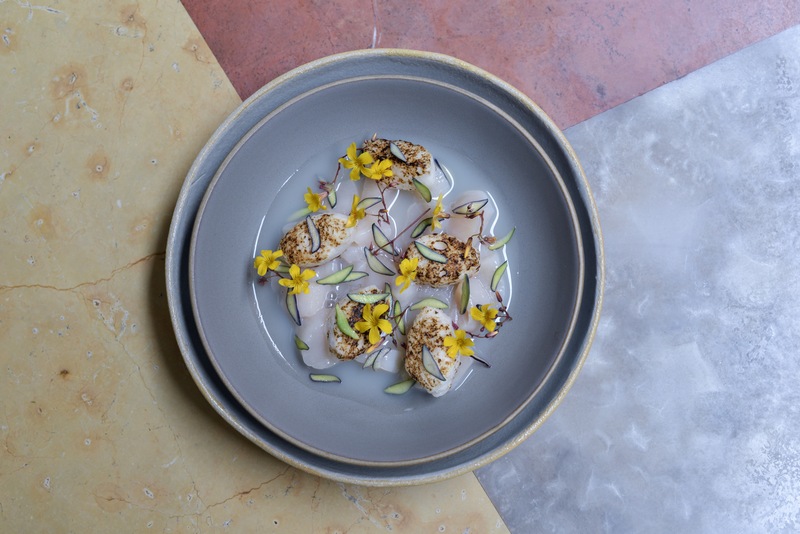 At Kjolle it is served in the form of a duck tartar with small crispy onions, calamari and a bit of kahuna. 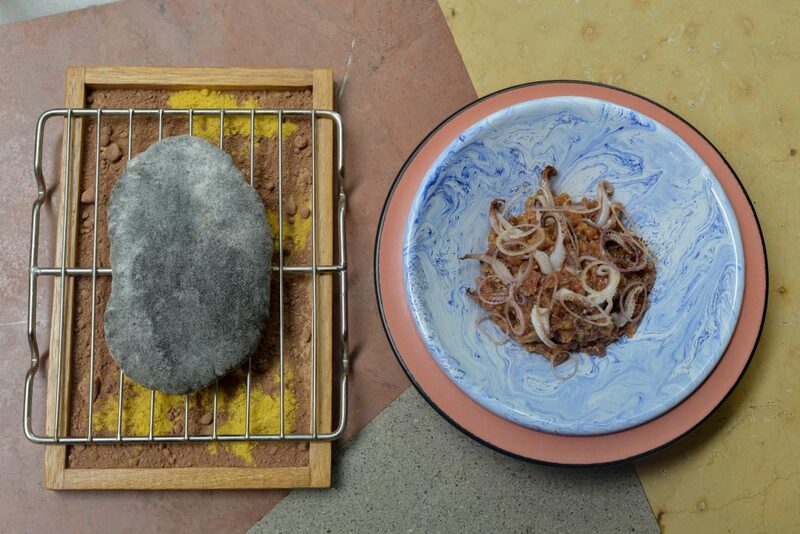 A great tartar requires a bit of crispy texture for it not to be completely soft and the onions provided just that. Another great dish. 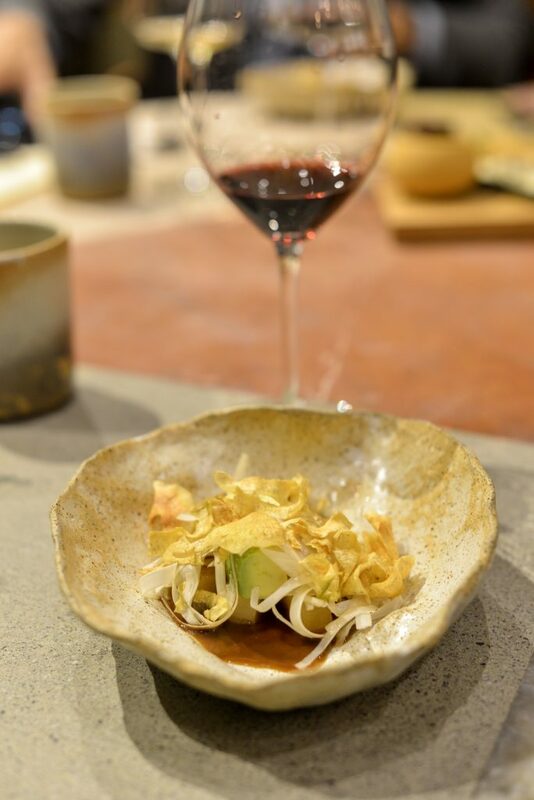 With the next dish we were taking a small trip to the amazon in the form of soft shaves of heart of palm, fresh and crispy yacon, avocado and a umami rich sauce with just a bit of coffee. Again the flavors were soft and delicate but the combination of textures was amazing with so many different textures being present in one dish. Amazing. 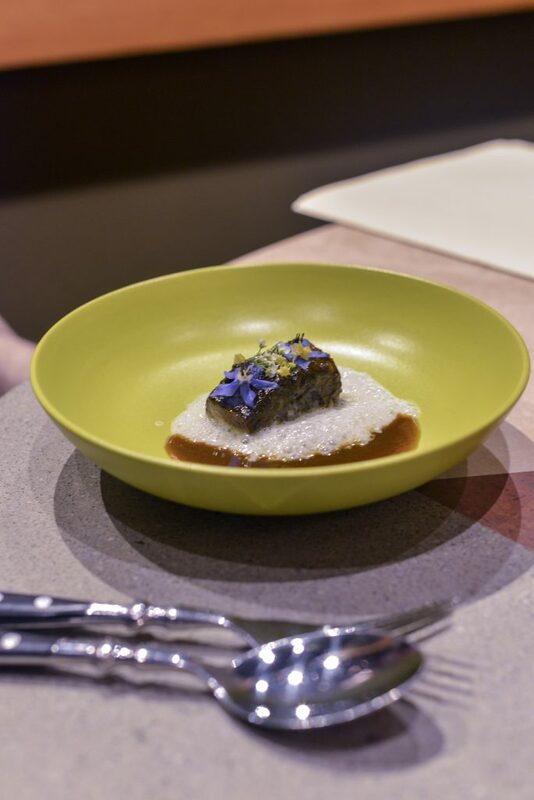 For the main dish was a piece of slowly cooked beef with cacao, cashew and coconut. The cashews gave a touch of Middle Eastern flavors. 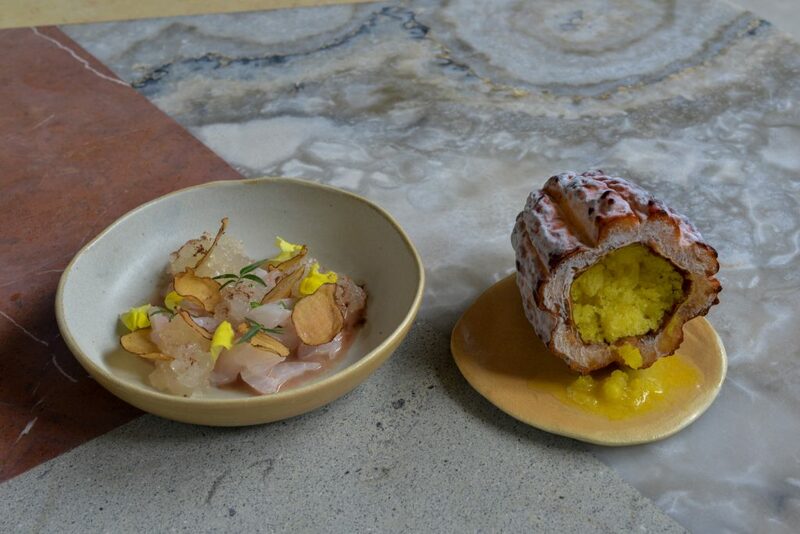 A great dish showcasing the breath of the kitchen, but not a dish that blew me away in the similar way as the others. 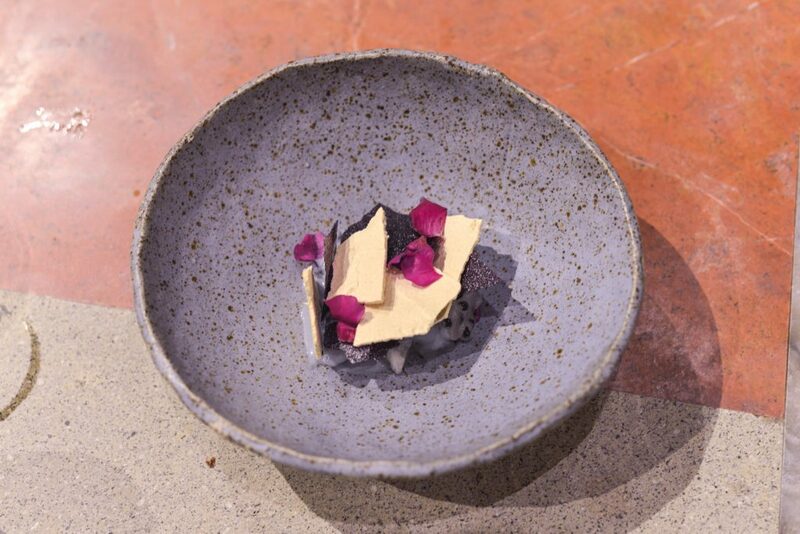 The first dessert was a mix of the sweet mashaw, white chocolate and sweet dragon fruit. A nice dessert but not memorable. The last dessert of the evening was classic flavors but with a small and great twist. Textures of cacao but this time with just a little bit of cherimoya to finish it of. 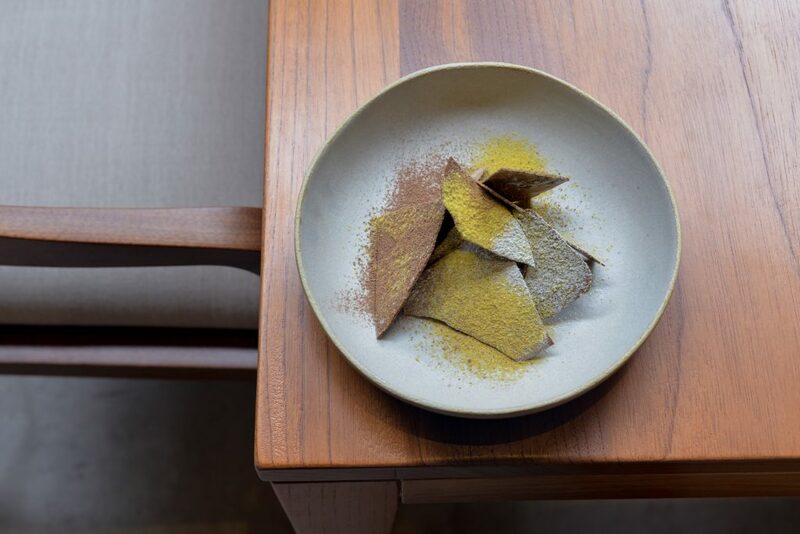 It is one of the best cacao dishes that I have ever had. Again a simple dish that felt technical and luxurious. All of my previous questions had at the end of the meal been answered. Had it not been for the many familiar faces among chefs and waiters I would quickly have forgotten about Central. The only thing that the two restaurants have in common is the quality of the food and the fact that they serve fine dining Peruvian food. I absolutely loved the food. All the flavors and textures were spot on. Most of the dishes use 3-5 ingredients without by no means being simple dishes, but to the contrary rich and complex in flavor while still having a clear femine touch and identity. All ingredients are Peruvian but it by no means felt like classic Peruvian food but Peruvian flavors. 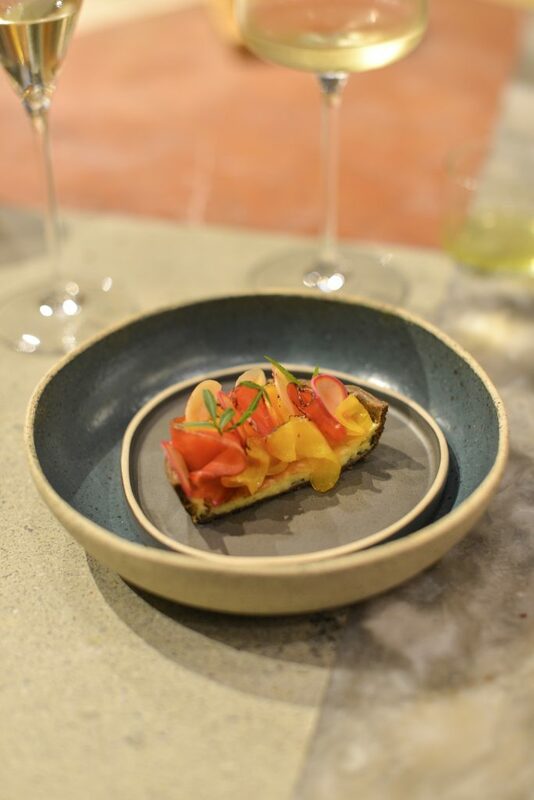 The fact that the first menu was so well executed as well as the fact that everything about the place said Pia and not Central is a great testament to Pias skillset and attention to details. Likewise it is safe to say that Pias dream of a restaurant started a while ago and has been some time underway which naturally creates a new question “How far can Pia go?” Pretty far if you ask me, but only time will tell. Customer service and products are on top! !